So long New Year’s resolutions — carnival season is here, and that means king cake! From the French-style king cakes at Strand’s Cafe, to the traditional, cream-cheese, fruit-filled, or Zulu confections at Ambrosia Bakery and Gambino’s, to the maple bacon king cake at Tiger Deaux-nuts, the variations are infinite. And the fun (cough, calories) don’t stop there – don’t forget the king cake balls at Cupcake Allie, the king cake milkshake at Fat Cow, and even king cake fries from Freetown Fries! Some New Orleans favorites: McKenzie’s, Party Palace, Croissant D’Or, Cake Cafe, Haydel’s and Dong Phuong Bakery. Photo courtesy of The Scout Guide New Orleans. So many amazing options with so little time before Lent is upon us. Luckily for you, there is a way to get your fix: host a king cake tasting party! 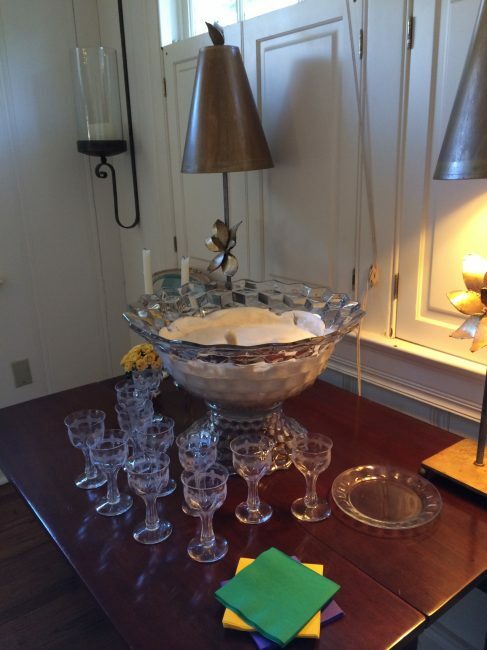 This fantastic idea was originally featured by The Scout Guide New Orleans in January 2015, and they recently featured this idea again, with staging by New Orleans caterer Patti Constantin. It’s the perfect way to sample all of the City’s best king cakes and Mardi Gras inspired treats while enjoying time with friends. Photo courtesy of The Scout Guide New Orleans. For beverages, serve our Café au Lait Punch from River Road Recipes IV, page 17, along with wine, beer, sodas, and water. Combine the sugar, coffee, ginger ale, club soda, and half-and-half in a large punch bowl and mix well. Fold in the ice cream and ladle into punch bowls. Makes 12 to 14 (2-cup) servings. Second, decorate! 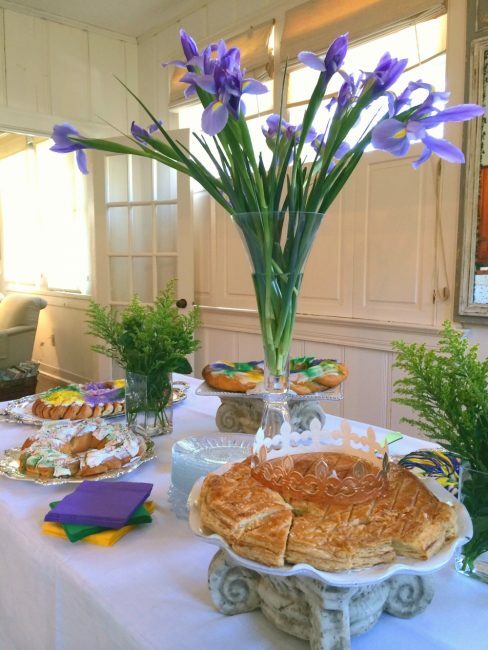 Go big with Mardi Gras beads and plenty of purple, green, and gold accessories, or keep it simple with an elegant bouquet of purple Irises or other flowers as a centerpiece. 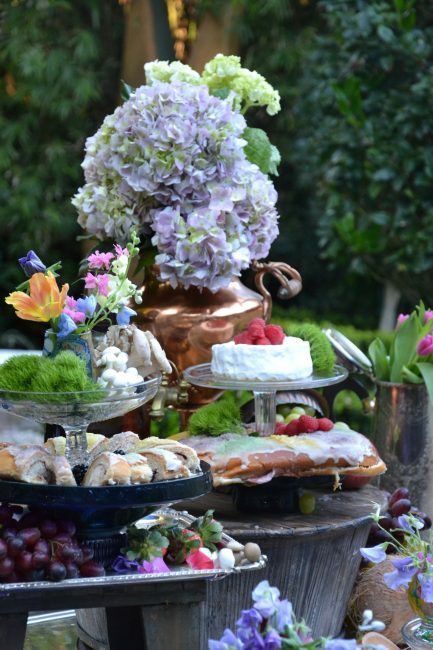 Break out the silver and crystal to have a party fit for royalty, or keep it casual with purple and green paper plates. Either way, you’re bound to pass a good time! 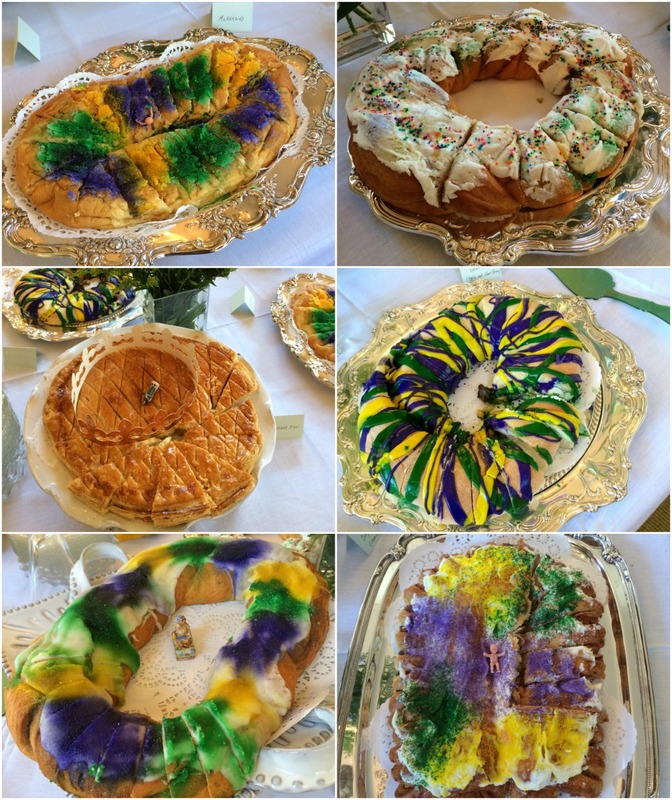 A beautiful King Cake tasting by Patti Constantin. Photo courtesy of The Scout Guide New Orleans. Special thanks to The Scout Guide New Orleans for the photos and the fantastic idea! I often make this punch recipe and adapt it for bridal showers and baby showers for baby girls by swapping out the coffee, half & half and vanilla ice cream with strawberry syrup, strawberry milk and strawberry ice cream. It makes a beautiful rich pink and scrumptious strawberry punch.